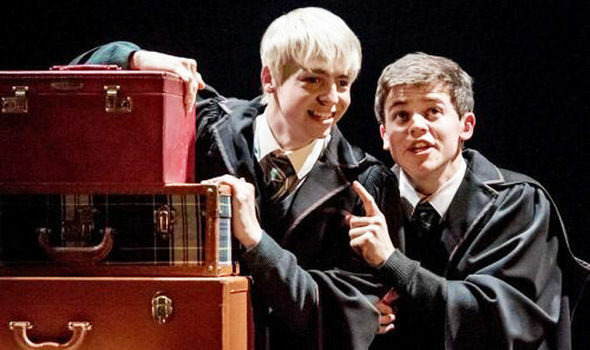 Theater Round-Up: Interviews with ‘Cursed Child’s’ Anthony Boyle and Sam Clemmett–and More! Though Harry Potter alums continue to stage incredible theater performances in the West End and in New York, the bulk of this week’s news centres on Harry Potter and the Cursed Child. With the new production only weeks into its opening run and a round of promotional images from the renowned Annie Leibovitz recently released in Vogue magazine, all eyes have been on Broadway. We would think tensions might be high, except that these actors and actresses are now wizarding veterans. In fact, Jamie Parker, who has the distinguished honor of portraying Harry Potter, took a moment to share a magical rendition of a theme you’ll probably recognize–played by the man himself! It seems he’s quite at home in his new surroundings, and we’re excited about what this foretells of the production’s success! 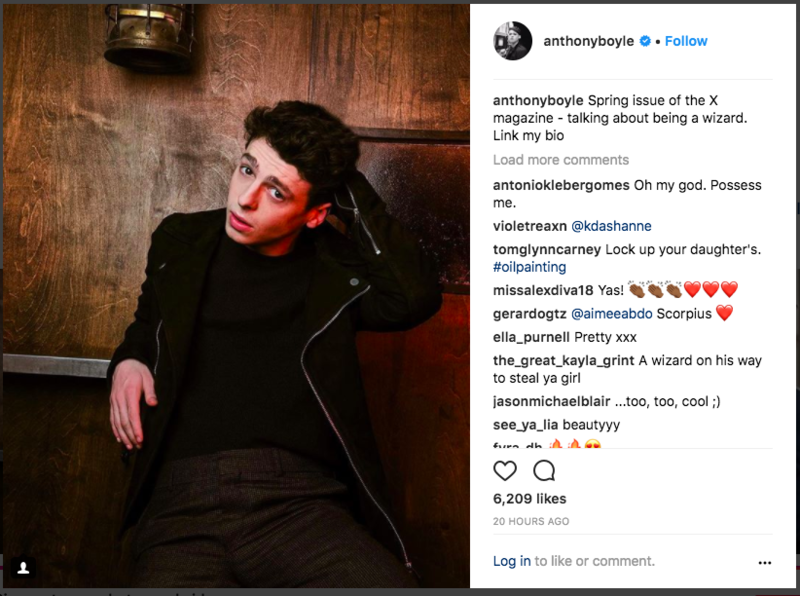 Read on for interviews with Cursed Child’s Anthony Boyle and Sam Clemmett to see how they, too, are adjusting to New York and how they’ve dealt with the pressures of being swept up into J.K. Rowling’s wizarding world. It’s been a little over two weeks since Cursed Child previews s opened on Broadway, and initial reports indicate the production has already cast a spell over the Great White Way, charming its way to the No. 6 position on the sales chart after only six performances! 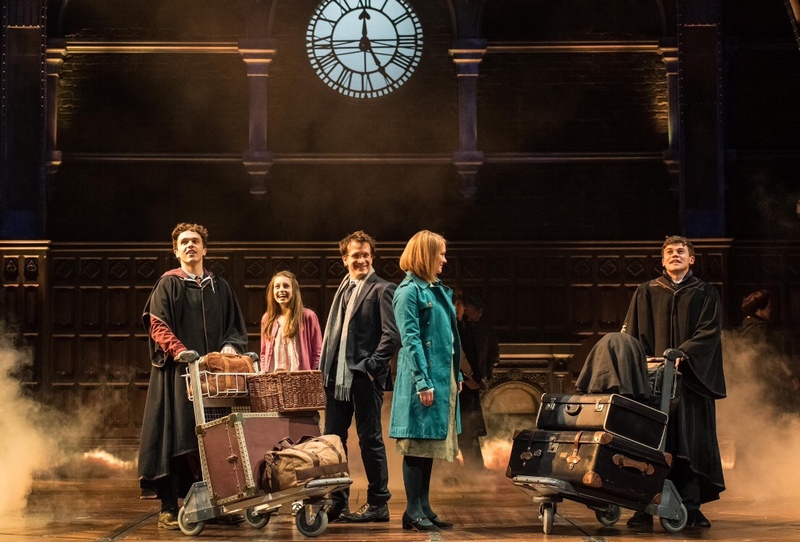 Variety reported Cursed Child brought in $1,541,957 for those previews, which, it calculated, would make for a $2 million haul in the standard eight-performance week. Those are some magical figures, though certainly not unexpected. 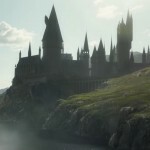 And given the success of the staged wizarding sequel, it’s not surprising that its stars are experiencing a similar boost–in their careers as well as their notoriety as the promotional juggernaut accompanying the opening run gets under way. Experience has helped, too. A successful–and award-winning!–turn in the original London production has enabled Boyle to achieve a level of comfort and confidence he didn’t have the first time around. No doubt that will translate to another incredible run, albeit in a new venue. Sam Clemmett, who plays Albus Severus Potter, the other half of the central duo, also shared thoughts on his place in the production and on becoming acclimated to New York City. 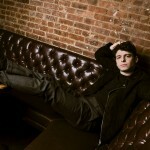 Now that he’s in New York City and working, he noted that he’s settled much quicker than he expected, even finding that “it feels like home.” And that’s probably a very good thing, because his enchanted stay on Broadway will probably last as long as he wants it to. 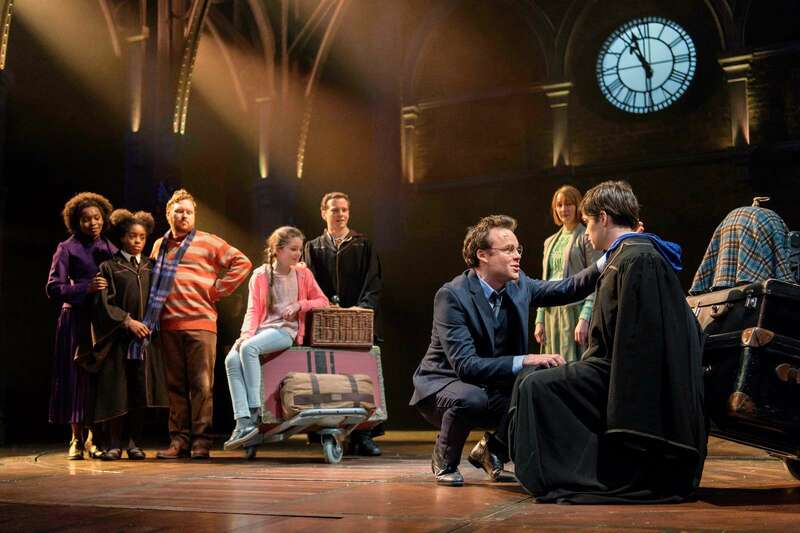 Though the Broadway production of Cursed Child is understandably getting a lot of attention these days, the London production continues to enthrall and delight fans. The latest news from that side of the pond comes in the form of new merchandise available at the Palace Theatre. What better way to commemorate a magical trip to the theater than with exclusive mementos by which to remember the experience?! From the pictures above, there looks to be a Hogwarts stationary set, including wax and seal, pens, pencils, patches, ties, bookmarks, lanyards and spinning key rings–all house-themed, of course! And for those wondering, the fan in question even tweeted price points for those interested. Stationary set is £12, house keyrings are £8.95 & Hogwarts one is £10. Keyrings are available online now but stationary is only at the shows at the moment! In other theater news, Cherrelle Skeete, formerly Rose Granger-Weasley in the original Cursed Child production, is set to star in Fun Home at the Old Vic. Skeete will star alongside Kaisa Hammarlund as Alison, Eleanor Kane, Jenna Russell, Ashley Samuels and Zubin Varla with more casting announcements to come. The production is set to run from June 27 to Sept. 1. Previews will begin June 18. It looks like the Old Vic’s schedule is filling up far beyond Fun Home’s run as London Theatre announced Jack Thorne’s adaptation of A Christmas Carol would return for the Christmas season, beginning performances Nov. 27. The official opening is slated for Dec. 5 to run through Jan. 19. The previous production starred Rhys Ifans, also known for portraying Xenophlius Lovegood in the Harry Potter series. Casting for the upcoming production has not been announced, however.